First up for our trip down a short memory lane is EUR/USD’s breakout setup. After breaking BELOW the ascending triangle pattern, the pair has managed to find support around the 1.0800 area. In fact, it has bounced back to the rising trend line since, where it could also encounter resistance near the 100 and 200 SMA levels. Are we looking at a support-turned-resistance scenario here? 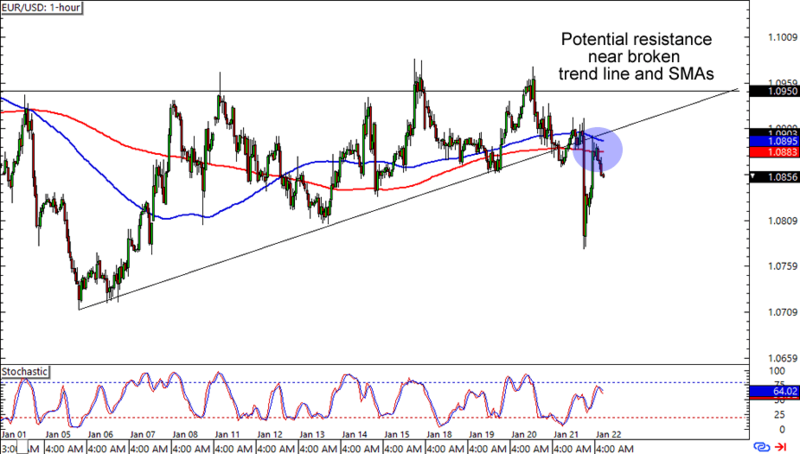 Stops above the 1.0950 zone could make for a good trade if you think that the SMAs would hold back more EUR/USD gains. Of course, you could also wait for a couple more candlesticks if you haven’t given up on the possibility of a breakout above the 1.0950 handle. Now that’s a pullback! Recent volatility may have taken USD/CAD waaaay deeper than our 1-hour setup yesterday, but that doesn’t cross out the possibility that we’re still looking at a potential pullback. If we zoom in on the 4-hour time frame we can see that the 1.4250 levels are lining up with a previous resistance, 50% Fib, and 100 SMA. What’s more, Stochastic is also sporting an oversold signal. Think USD/CAD will pop up this time? 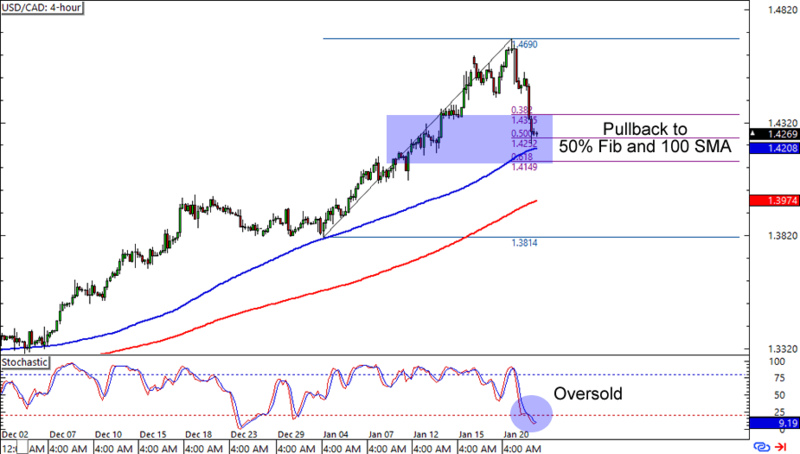 Read all about trading Fib retracements if you haven’t done it yet! Last up for today is another break-and-retest opportunity, this time on EUR/GBP’s daily time frame. 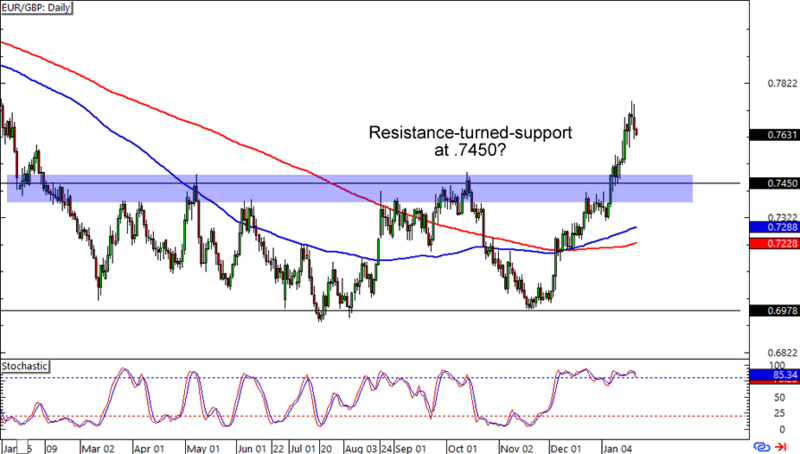 The pair has found resistance at the .7800 levels after breaking above the closely-watched .7450 range top figure. Stochastic looks like it’s leaving the overbought territory, which could open up a move for a retest to the broken resistance. The setup probably won’t materialize for a few days yet, so you’ll have time to plot out different scenarios on your trading plan. Make sure you manage your risk well!